Working with toroids can seem overwhelming at first to those with little experience, but the fact of the matter is that no one should be afraid to work with these devices. Simply put, they are bagel-shaped coils that have a magnetic core. They are rather similar to a coil called slug-tuned. A toroid has a core that is minimally adjustable, whereas slug-tuned coils are easily adjusted. Within a small range of inductance, a toroidal coil can be adjusted. This is possible through the spreading/compressing of turns during the winding. A standard toroid normally will have the winding spread out over 330 degrees of the entire coil. The reason the winding does not go to a full 360 degrees is so that a gap can be left at the ends of the winding. Also, the shape of the two devices differ greatly. A slug-tuned coil is cylindrical in shape. An air-core coil is also similar to a toroid, although it takes more turns to get the same result. Both slug-tuned and toroidal coils have high inductance rates, as opposed to air-core coils. An air-core coil does not have to depend on any ferromagnetic materials in order to reach the exact inductance. As a result, the inductance is unaffected by the current. 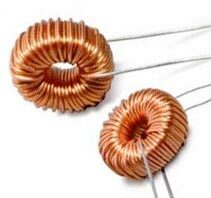 When looking for high quality inductors, a toroid is a great option for two main reasons. The first reason is that the coil’s quality factor is high, with only a small amount of turns. The other reason is that a toroidal coil, as a result of its design, is self-shielding. When working with this inductor, there is no need for metal enclosures to be kept. When creating toroids, one of the most important factors is what the core is made out of. Normally, there are two main options for cores: ferrite and powdered iron. It can be confusing when to use one or the other, but there is a simple rule everyone can learn. A powdered iron core is for circuits that require high quality factor in narrow-band networks (mixers, RF amplifiers, oscillators, etc). The audio industry uses these core rather frequently. A ferrite core will be used mostly within broadband inductors/transformers (RF chokes). Fewer coil turns are required with these cores, and they also have better permeability. One must be careful because ferrite is a weaker material and is more prone to chip and break. If stressed, the core will more than likely break. Despite the difference, both are subject to overheating. The only difference is that when the core are cooled, only powdered iron with return to its original MU rating. The ferrite core on the other hand is subject to a total break down. There are many different options for inductors and types of inductors. Getting the appropriate device will help business thrive. 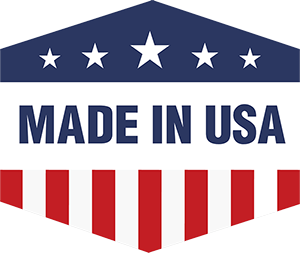 Knowing the complete ins and outs of the toroid industry is not a responsibility you much burden yourself with when trained professionals are standing by looking to help you get the best possible inductor.